Indian football is heading in the right direction, with focus now shifting heavily on grassroots football. In order to nurture young talent, the Western India Football Association organised a 'Grassroots Football Festival' at the refurbished Cooperage ground, in Mumbai, on Wednesday, and the response it got was overwhelming. 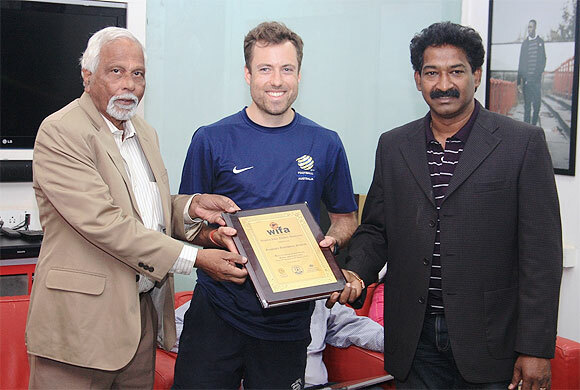 Melbourne-based grassroots instructor Anthony Frost, who conducted the Football Federation of Australia (FFA)-All India Football Federation (AIFF) Grassroots Leaders' Course and the Grassroots Festival, was impressed with what he saw. “The quality of players I saw here at the Cooperage was very good. There is not much difference between India and Australia youngsters. Soccer in Australia is structured, while here, more kids play the sport outside. 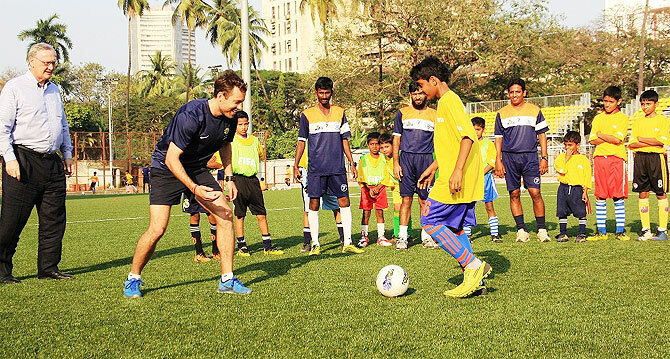 The FFA-AIFF Grassroots Leaders Course, from January 27 to 29, was the outcome of AIFF signing an agreement in October 2013, under the Australian Sports Outreach Program (ASOP), with the Football Federation of Australia. The program is designed for boys and girls between 6 and 12 years of age. Henry Menezes, CEO of WIFA said "this tie-up is very important for Indian football". “We are sure that grassroots football development will help create a flourishing football community in Maharashtra and this tie-up will help to structure and spread grassroots leaders and grassroots development program,” he added. Frost pointed out that the initiative is a fantastic journey for grassroots coaches. “Through this program we will be educating grassroots coaches who are willing to learn and improve their level of coaching and use the experience for their community -- be it schools, institutions or academy’s they are associated with,” he explained. Indian football: Offers were made to fix I-League matches?